Thank you for registering your interest in Oasis Hub Ltd.
We will be in contact with further details on the business soon. Launched in June, 2017, Oasis Hub is uniquely positioned to bring global, public & commercial, environmental & risk data, analytical tools & services together into a one-stop Emarket for data, enabling business & society to understand and prepare for catastrophe, climate risk assessment, adaptation & resilience planning. Oasis Hub is a close collaboration of members of the (Re)insurance, Research & SME sectors seeking to understand the wealth of data held globally, as well as to rapidly innovate new catastrophe, climate change risk and damage data, tools and service onto the open market. They have a membership of over 825 specialist users, 120 data suppliers and 770+ data sets on the Hub. 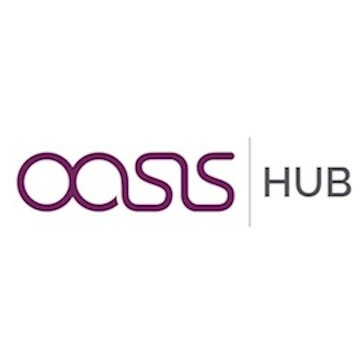 Oasis Hub offers a range of products & services linked to the momentum they are building with a focused data using membership & website users consisting of companies in the Insurance, Consultancy, Engineering & Development and Finance sectors. Oasis Hub offers a range of services to data buyers such as commercial data sales, commercial tools sales commercial services sales and educational webinars on data and tool use. They will soon be launching: Data on demand. Maps on demand allowing 2D and 3D maps of data creation. A crowd-sourcing tool and advertising. They also have offers for data suppliers from bespoke data platform & tool development to business Development Consultancy. Business is waking up to the potential for damage & disruption from catastrophes & climate change to the economy. This is being embodied in legislation and industry initiatives e.g. The Task force for Financial Risk Disclosure’ where the financial sector is asked to declare its physical risks. Obtaining reliable environmental and risk data is important to achieve an understanding of potential risks. Traditionally, the wealth of data within academia and the modelling community have not been made available to organisations needing them most, spread out globally in multiple data hubs. By using Oasis Hub as a gateway to science & data they will meet the market demand for information. Commissions on sales of commercial data, tools & service contracts - data-sets are packaged in countries/regions and licensed for a range of periods or bought outright. Tools are marketed as licensed software for periodic use, commissions on introductions resulting in service contracts. You have to log in or register to see this information.